Plenty of researches have found that cucumber is a potent cure for numerous diseases even cancer. 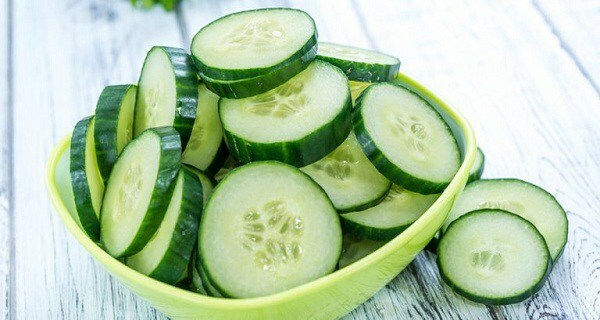 Cucumber removes toxins from our body which will result in improvement of health, skin, and hair. By adding it to your meal, you are doing yourself a favor for you can get a lot of benefits from it. 1. It eliminates toxins and hydrates the skin. Cucumbers are composed of 95% water thus making it hydrate your body rightly and supply it with essential nutrients. 2. It aids in weight loss and improves your digestion. A cucumber a day can stimulate metabolism resulting in burning more fats than usual. It also contains fiber which helps in digestion. 3. It helps in removing halitosis. Cucumber has antibacterial properties that will destroy bacteria in your oral cavity thus, leaving you with a fresher breath. Just put a thin slice of cucumber in your mouth, hold it there for 30 seconds then spit it out after and you are good to go!